Our Lubbock fertility center is devoted to providing you with the best possible opportunity to conceive a child of your own. This means offering a range of methods using the latest and most reliable technology, implemented by the professional skill and experience of Dr. Janelle Dorsett. It also means recognizing that each patient is unique, thus requiring personal, customized care to yield the greatest chances of success. With regard to in vitro fertilization (IVF), a number of decisions must be made after evaluating the health and physical needs of the potential mother. One such decision is how many embryos are to be transferred for the IVF process. In some cases, a patient may opt to have a single embryo transferred, while other patients are far better candidates for multiple embryos. By fully understanding the advantages and risks of multiple embryo transfer, you and your doctor can make the right choices for your infertility treatment. Why Transfer More than One Embryo? A successful pregnancy only requires one fertilized embryo to attach to the uterine wall, which may make simultaneous embryo transfers seem unnecessary. And indeed, when a patient carries healthy eggs and has a good prognosis for IVF, only one embryo may be needed. However, even under favorable circumstances, the chances of a single embryo resulting in pregnancy is usually under 50 percent. Therefore, two or more embryos may be transferred at once, increasing the odds of having at least one of them successfully attach and develop. This decreases the need for multiple IVF treatments to achieve pregnancy, thereby minimizing extra expenses, time, and frustration from patients. Which Factors Influence Success Rates? Age: A woman’s age plays a significant part in her ability to conceive. Those who are under the age of 35 have about a 40 percent chance of success, whereas women over the age of 40 have an 11.5 percent chance or lower. Source of infertility: If a couple’s primary reason for infertility stems from the man, IVF is more likely to be successful. On the other hand, female infertility problems such as ovarian dysfunction and complications in the uterine wall tend to lower success rates. Overall health: A woman’s general health and lifestyle can impact IVF success. If you are overweight, underweight, smoke, or have a poor diet, you will probably be less likely to conceive. Previous pregnancies: Women who were previously pregnant, and especially those who have previously conceived with the current partner, tend to benefit from higher rates of success. 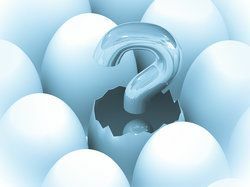 Quality of eggs: Some women have healthier eggs than others, making them more likely to conceive. When egg quality is poor, the use of donor eggs may be a more viable option. After considering the aforementioned factors, you and your doctor can choose the number of embryos to maximize the chances of pregnancy. Women who are relatively young and healthy are generally recommended for single or double embryo transfer. By using two embryos, a woman is far more likely to become pregnant, while the risk of complications is still kept to a minimum. Older women and/or those with more inhibiting factors may be recommended for three or four embryo transfers. Although studies show conflicting evidence on the efficacy of four or more embryo transfers, a more accurate assessment can be made at the individual fertility clinic, as doctors have their own data through personal experience and the technology used. By consulting Dr. Dorsett, you can learn the exact pros and cons of relying on multiple embryos for your IVF treatment. Unfortunately, transferring multiple embryos for IVF is not just a way to boost one’s likelihood of pregnancy; it also increases certain risks. The primary issue of concern in such cases is the probability of multiple births. In an effort to ensure that at least one embryo results in pregnancy, IVF tends to also result in an increased rate of twins or more. On average, one in four IVF pregnancies is a multiple pregnancy. This may be welcome for younger couples who are conceiving for the first time, but multiple births can be problematic for patients as well. This includes an increased risk of miscarriage, premature labor, ectopic pregnancy, and low birth weight. The mother may also suffer from high blood pressure or diabetes after pregnancy. It is therefore important that patients weigh the potential benefits and risks when considering how many embryos to transfer in any IVF procedure. By coming in for your initial consultation and evaluation, you can begin to gauge which treatment options are best for you. We can recommend and implement the safest and most promising treatment for your infertility. Contact us to schedule your first appointment.